Sign up to be one of the first to receive your copy of the Definitive Guide to Starting An Energy Audit Business. I am excited to release a compilation of experiences, best practices and resources to help rocket launch your home performance company while avoiding all the mistakes I made while building my home performance company to over $1,000,000 in 2014. 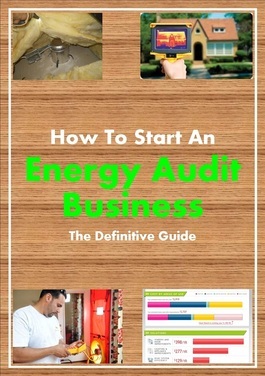 This is the guide I wish I had when starting my energy audit company. All the questions I would have asked my older self when I just started. Marketing tips to get the phone ringing right away. Tips to help build a business, not just a salary. And some entertaining stories along the way.